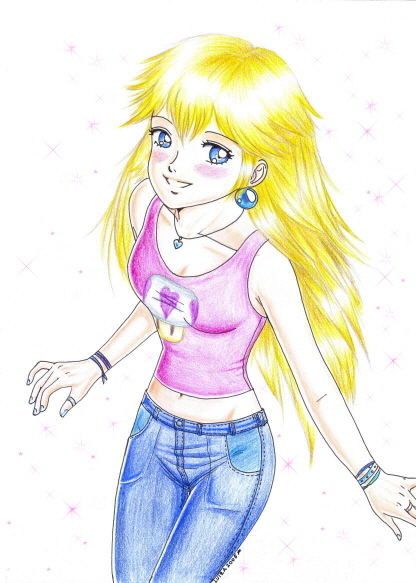 Peach Fanart. . Wallpaper and background images in the Princess Peach club tagged: peach princess. aww,its peach in her teenager years! :O I HAVE THAT AS MY PROFILE PIC AND I JUST JOINED!!!!! "